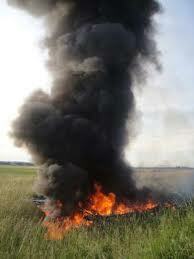 A Goodyear-branded A60 airship burned and crashed in Germany on Sunday evening with one death, the ship’s pilot. The three passengers, all journalists, survived the crash. It appears the blimp caught fire following one or more prop strikes during landing at the Reichelsheim airport, south of Frankfurt, after a local flight. The pilot was Australian Mike Nerandzic [photo]; it appears he may have saved his passengers at the risk of his own life. The accident happened at the Reichelsheim aerodrome, near Friedberg in central Germany as the aircraft was coming in to land. Two metres from the ground the pilot told his three passengers, all journalists, to jump to the ground while he tried to land safely, said a report on the Bild website, one of whose photographers had been on board. Once the three journalists evacuated the zeppelin, it climbed back up to 40 metres but then caught fire for reasons not yet clear, said police. Witnesses reported hearing a loud noise from the engine and smelling petrol fumes. The zeppelin had been making a promotional flight to mark a local festival. The journalists who escaped were the photographer from Germany’s Bild magazine and two from RTL television. This entry was posted in crash, dies, News, Photos, Video on June 13, 2011 by phz.